Imām Muḥammad ibn Ismā‘īl al-Bukhārī is regarded as the greatest muḥaddith of his time, surpassing the rank of his contemporaries including his teachers. He authored many books during his life including the famous ‘Ṣaḥīḥ al-Bukhārī’ – a book which is regarded as being the most authentic book after the Qur’ān. This talk will detail the life of Imām Bukhārī, the talent he showed from an early age and those who marvelled at his genius throughout his life. 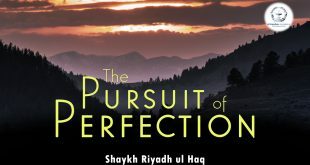 He was tested frequently by scholars to see if he lived up to his reputation and he displayed a level of piety which reflected his knowledge. The unfortunate events leading up to his passing away are also detailed in this talk and a full sanad (chain of narration) is included at the end from Shaykh Riyadh ul Haq to the first ḥadīth of Ṣaḥīḥ al-Bukhārī. 10:00 – When was Imām Bukhārī born? 14:10 – Imām Bukhārī becoming blind as an infant. 31:40 – The teachers of Imām Bukhārī. 36:33 – Imām Bukhārī visiting Basra. 46:05 – The praise of Imām Bukhārī’s contemporaries for him. 1:06:25 – The piety of Imām Bukhārī. 1:09:45 – The ‘ibādah of Imām Bukhārī.